China traditional new year will come in Feb. 2016. 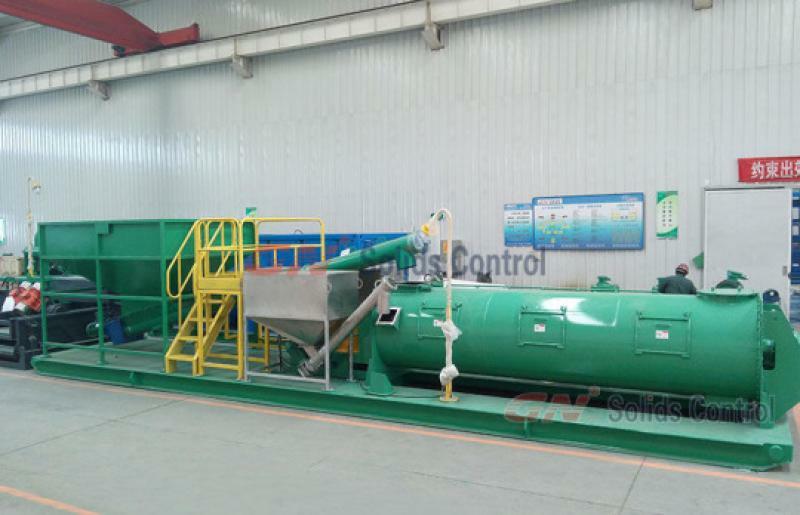 In order to thanks all GN clients’ support in the past year, GN Solids Control offered big discount for sale for GN drilling waste management equipment. The big discount for sale activity will last for the whole Jan.
1) Vertical cuttings dryer GNCD930C and GNCD930C-VFD. It is mainly used to treat the oil based drilling cuttings (OBM). Performance is very good. The Vertical cuttings dryer can reduce the oil on cuttings to 3% ~ 5%. After VG dryer, the solid discharged is very dry. It is easy for movement by truck. In some countries, it can be discharged directly with such low OOC. If not, it can be removed to treat by thermal desorption unit. 2) High G dryer (also called high G drying shaker). It utilizes high G force reach to 8.0G to dryer the cuttings. High G drying shaker is mainly used to separate water base mud cuttings. Water base mud is more difficult for separation. The main problem to treat WBM with VG dryer is that, the mud will block the screen basket, then it cannot separate any mud any more. High G dryer shaker can also be used to treat oil base mud. But it can only reduce oil on cuttings to 10 ~ 15%, it is not enough. 3) High speed decanter centrifuge GNLW363C and GNLW363C-VFD. It is 14 inch decanter centrifuge. 14’’ is the most popular size centrifuge used in oil and gas drilling field. Client can choose fixed speed control or variable frequency control. For the VFD control, GN offers PLC touch screen for smart control. 4) Big bowl decanter centrifuge GNLW553C-VFD. It is a big bowl big volume decanter centrifuge. It is with a 22 inch bowl. It is the biggest size from GN Solids Control. It can be used for waste management, for mud solids control, as well as chemical dosing system (dewatering unit). 5) Screw conveyer. 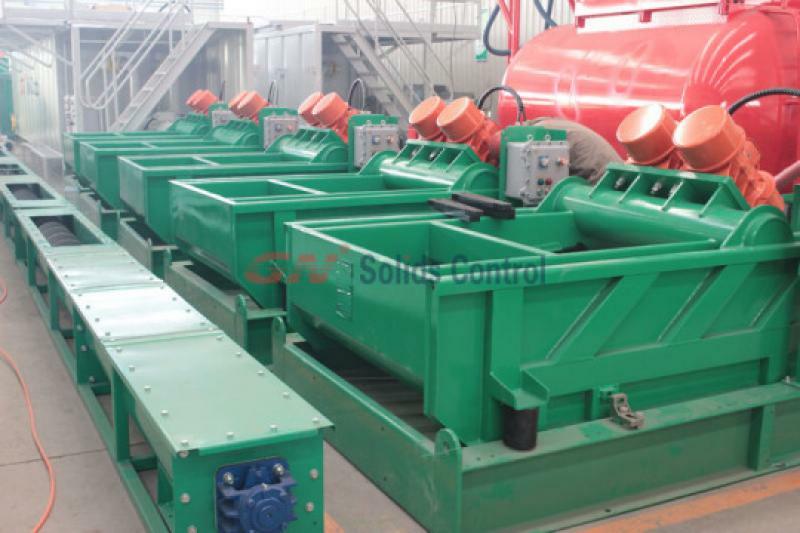 GN offers different diameter and different length screw conveyer for drilling cuttings transfer. The auger diameter do GN Solids Control offer: 10’’, 12’’, 14’’, 16’’, and 18’’. GN make 12 ft as standard design for each section. Clients can choose 1 ~ 4 sections for 12 ft, 24 ft, 36 ft, and 48 ft. Clients can reduce or extend the length at jobsite when need.